Ceviche specialists The Last Days of Pisco are back for a 4 week residency, this time in West Smithfield. No booking - first come, first served. "So Feast was a blast, but frankly we've missed the pisco sours. 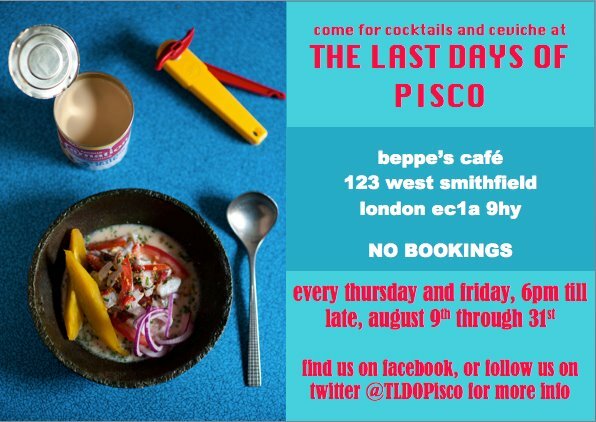 From this Thursday we'll be serving up our pisco cocktails along with our now critically acclaimed ceviche at Beppe's Cafe in Smithfield. See flyer for details…"